In our final installment, we focus on cultural influence on adoption in Rwanda and Korea, and the silencing of adult adoptees. 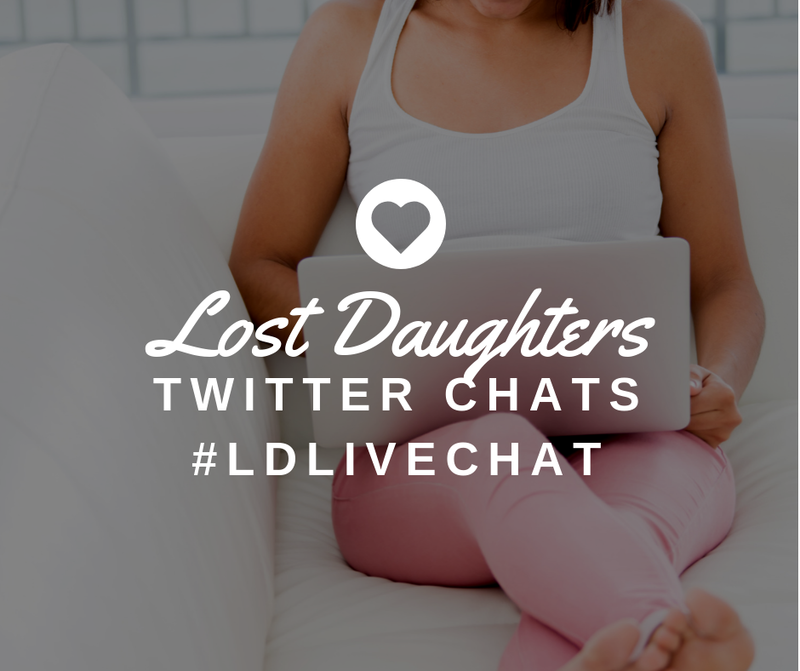 We invite you to join the conversation in the comments following each post. Karen Pickell: In terms of balanced reporting within the pages of The Child Catchers, I was happy to see the examples you pointed out, Julie, of Christians who are trying to affect change within the orphan adoption movement. While reading earlier chapters, I wondered whether Joyce would give us a sense of what adoption done right could look like. 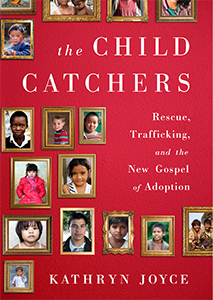 I think chapter seven, which covers Rwanda, is that scenario I was hoping to find—an alternative way of handling adoption that addresses true need and puts biological family and culture of origin above international adoption, proof not only that adoption can be done differently, but also that change can happen within the Christian adoption movement itself, as we begin to see happening at Saddleback. Mila: Very good point, Karen. I love the empowerment that the Rwandans have, that they are not intimidated by America and do not view it with awe. I love this quote from chapter seven: "The minister told me: do this yourself. We will not work with agencies. You do it yourself and you show me why you want to be a parent of a child from Rwanda, and I will look at your paperwork." I, too, was encouraged by the shift in work and focus that Saddleback exemplified in Rwanda. However I will say, as Joyce points out, that this shift is NOT reflected in their main message here in the States. As Joyce noted, Rick Warren still proclaimed at the Christian Alliance Summit, "When I say orphan care, it's adoption first, second, and last." I know I'm sounding like the disagreeable, never satisfied critic here. I realize that the kind of reform and change necessary within the Christian adoption movement is going to take time, but I guess I believe it shouldn't be taking as long as it is. And in some ways, it could change so much more quickly, if the leaders within the movement would take responsibility for the message they're preaching about adoption. On a different note, I do appreciate Joyce's discussion of how culture is such a complex factor that influences how adoption practices develop within a country, as exemplified in the last two chapters that focus on Rwanda and Korea. I think Americans are often so naive and ignorant of the cultural influences and complexities, and how these affect adoption practices and attitudes within a country. Both Rwanda and Korea have complicated cultural and social dynamics to address and overcome in order to develop domestic solutions. However, as Joyce discusses, these obstacles are often used as excuses rather than actively dismantled: "Agencies that have highlighted South Korea's Confucian heritage as the reason that so many mothers must relinquish did nothing to challenge the stigma . . . but instead used the stigma to justify continued adoptions . . . agencies even helped perpetuate that stigma by reinforcing the status quo." But as Jennifer Kwon Dobbs acknowledges, particularly in the case of Korean adoptions, "rather than US parents saying how sorry they felt about the circumstances that led to unwed mothers to relinquish . . . adoptive parents could instead become their allies, helping change the system that compels them to do so." I think what happens is that international adoption is viewed as the "easy option" in the minds of adoptive parents and adoption advocates. And in some ways, it is, when you consider the work it takes to shift cultural attitudes, to overcome social injustice and poverty, to address the complicated economic and political systems. But as Joyce and other reformists acknowledge, adoption is ultimately a women's rights issue and has become a social justice issue. Change can happen, but people have to be willing to do the work. And they can't do the work until they're willing to see the truth. I am glad that there are those within the Christian adoption movement who are finally beginning to see the need for reform and to address the root causes. I believe it is a moral imperative that current adoption practices change, and the Christian adoption movement is largely responsible. I hope they will listen and act. Julie Stromberg: Mila, as I revisited chapter seven, I thought of your comments on the sense of entitlement that many leaders in the American Christian adoption movement seem to have regarding children in other countries. The pressure was put on Rwanda to release its children to the United States adoption system. The environment in Rwanda had the potential for turning into another situation like that in Ethiopia. Yet, Rwandan officials remained grounded in its mission to preserve its families and culture. One passage that really hit home for me was Joyce's conclusion that ". . . Rwanda's government maintained a tight grip on its adoption process, scrutinizing each case extensively and effectively challenging prospective parents to demonstrate why they deserved to adopt one of Rwanda's children [emphasis mine]." In keeping with that theme, the National Director of SOS Children's Villages-Rwanda, Alfred Munyentwari, told Joyce that Rwandans are afraid of not knowing whether their children are okay after they leave the country. I couldn't help but think about how many American parents have lived and experienced this exact fear. My natural parents waited 27 years to find out if I was okay. And I was raised just a few towns away from them. I had not left the country but I might as well have been halfway around the world. This is what the American adoption system—with its altered birth certificates and sealed records—does to parents and children, be it domestic or international adoption. Karen P.: Honestly, I felt like I wanted to kiss Munyentwari. He really gets it. I love this quote from him: "This story is to tell you that sometimes children can go and when they go, they will get homesick . . . They will say, 'I am well fed, well clothed,' but no one can feed that need." And this quote, too: "There are some people coming and saying, 'the Rwandese are stupid because they don't want the good life for their children.' But people have to think twice. I may be in a miserable situation today and not able to educate my children, but maybe tomorrow can be better." Lynn Grubb: Yes, Julie, as adoptive mothers Jaya Holliman of Vermont and Megan Biehl of California discovered, admirably, Rwanda takes each adoption case at face value and MIGEPROF judged each adoption application on an extremely personal basis—whether the ministry "felt that your story was compelling enough that you deserve to have one of their children." I am impressed that Rwanda is fiercely opposed to working with agencies. The minister told Biehl, "We do not sell our babies." Can you imagine an adoption system all over the world without adoption agencies charging outlandish fees? Where governments scrutinize each case as to the "best interests of a child"? Karen P.: It would be great if more governments took Rwanda's lead in protecting the best interest of their children, but as Mila pointed out earlier, the culture of each nation has a very strong bearing on how international adoptions are handled. In the final chapter, Joyce takes us inside the adoption culture of South Korea, where women are scorned for getting pregnant outside of marriage and literally forced to either abort or relinquish their babies to avoid lifelong persecution. There is little infrastructure in place to assist single mothers, and often times these women will even be denied jobs if it is discovered they've given birth to an illegitimate child. The scant number of Korean couples who do adopt do so in secret, taking great care to cover up the adoption and make it appear as though the child is their own, sometimes even faking pregnancies. This was one of the hardest chapters for me to read. The culture described here is very similar to what I know my own mother faced here in the U.S. in 1967-68. I hate that other women anywhere in the world are still being shamed into not caring for their own children. Even more difficult for me was thinking about my stepson, who was adopted from South Korea in the 1970s by my husband and his first wife, quite possibly under false pretenses. They were told the child they were adopting was found on the streets, but the more I learn about Korean adoptions, the more I suspect this explanation was likely fiction meant to ease the new parents' consciences. I only wish I had been more knowledgeable years ago when I first met my stepson as a young adult—he passed away in 2008, without ever exploring the truth of his story. His brief life was tumultuous to say the least, and I'll always wonder if he would have found some peace through exploring his origin. My husband and I now talk about this often. At that time, adoptive parents were at the mercy of the agencies they worked with to guide them through the adoption process. My husband truly believed he was giving a home to an orphan, although he received no education in Korean culture or advice on what to expect, save for small instructions like what his new son was used to eating. But now with all the information that's available via the internet and books like The Child Catchers, it's inconceivable to me that anyone could claim ignorance of what's really going on in South Korea to make so many young children available for adoption. Mila: Karen, I feel for your stepson—it sounds as though his story was such a tragic one. Chapter eight was incredibly painful and emotional for me to read also. I think that's in part why I only alluded to it in my comments above. I was on the verge of tears for most of the chapter and burst into tears at several points. As someone who was adopted from Korea in 1975, this chapter was obviously very personal for me. It is hard for me to comment on the chapter because of how emotional I feel about it and how personal it is for me. And it angers me still to this day that adoption advocates and leaders in both Korea and America still refuse to listen to Korean adoptees about our experiences of international adoption, and that the culture in Korea is still so oppressive toward unwed pregnant women. Korea is infamous for deceitful record keeping when it comes to adoptees. Pretty much every adoptee I know who has searched has discovered some kind of discrepancy or straight up lie in their file. 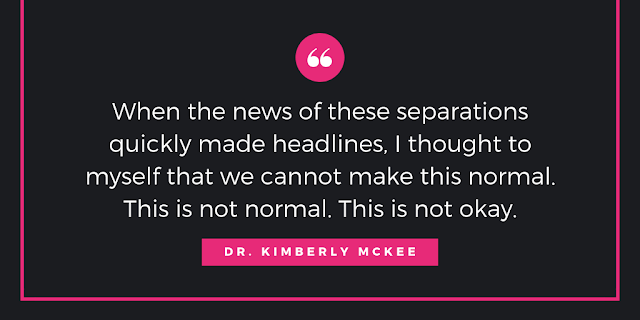 In my own situation, all of my life my adoption papers from the agency had told me that my Korean mother had abandoned me at a clinic and that I had been found by a doctor there, and that they had no information regarding my Korean mother or father. Later, when I finally initiated a search in 2002, I discovered over the seven years that I searched that not only did my Omma not just leave and walk away from me at the clinic, but that all those years, Eastern Social Welfare Society had detailed information on BOTH my Korean parents. Even old addresses, ages and number of siblings, level of education, and so forth, and most significantly a NAME for my Korean mother. And it ended up being the right name. I was completely shocked that for 30+ years of my life, this information was just sitting there in Korea. But I had to push hard for it and they did not volunteer information willingly. Rather, I had to ask very detailed questions and keep wearing them down. And they had even more information that they did not divulge to me until AFTER my Korean parents had been located. The culture surrounding unwed pregnant women and adoption can be infuriating and heartbreaking to say the least. My Omma is definitely one of the women who was left with no choice but to give me up, and she was basically forced by her older sister, my Imo, to do so. Her parents never even knew about her pregnancy or my existence. Anyway, it's a long story and very convoluted (as most adoption and reunion stories are), but I definitely have a love-hate relationship with Korea. Chapter eight definitely was a hard one for me to read, and yet I know how very true Joyce's accounting of Korea's culture and adoption industry is. Karen P.: It was very encouraging, though, to read that adult adoptee groups who have returned to Korea and are advocating for reform are actually being invited to the table to draft legislation that would support unwed mothers there so that, in time, they hopefully will no longer feel pressured to either abort or relinquish. Jane Jeong Trenka calls the roll adoptees played in two South Korean bills passed in 2011 "unprecendented," saying also, "it's so awesome that we can be here, because we don't have any power in the US." Joyce points out that in America, adoptee advocates "are often dismissed as too emotional or embittered to have an accurate perspective on international adoption." She goes on to say that "the voices of adoptive parents and their lobbyists drown out those of adoptees and certainly birth parents or single mothers." How crazy is this system where the very people who are most affected by adoption are painted as unstable, voices that shouldn't be taken seriously in determining adoption policy! Again, this goes back to how powerful the adoption industry, fueled by huge profits, has become in the U.S. and how easy it has been for them to silence their critics. Julie S.: As a Baby Scoop Era domestic adoptee, reading the story of Hyoung-Suk Choi and what she had to go through in order to raise her own child was very difficult. So many of us lost our parents, identities, and knowledge of ancestry due to society deeming it unacceptable for a unwed woman to raise a child—not because our mothers didn't want to, or couldn't, care for us. And to think that this sort of societal pressure on women is still so strong in South Korea is difficult to accept. I couldn't help but notice the correlation between domestic and international adult adoptees who are now speaking out and up about adoption practices in our countries of origin. And I'm so glad that Joyce included in the book the efforts of adult adoptees. Our voices are so often the ones that nobody really wants to hear unless we are talking about how happy and grateful we are for having been adopted. Sometimes it feels like society never expected us to grow up and become independent adults who are capable of taking a critical look at the system that had such a major impact on our lives. I found this passage to be validating and inspiring: ". . . adoptees who were once mute recipients of international salvation have become independent adults and many of them are astute critics of the international adoption system through their activism, scholarship or writing." This is exactly what we are doing as a multicultural group of adult adopted women here at Lost Daughters. Mila: Yes, it was very validating that Joyce acknowledged the adult adoptee voice. And Trenka's and her colleagues' efforts are an inspiration. Korea is definitely changing, slowly but surely. Karen, you stated so precisely, "How crazy is this system where the very people who are most affected by adoption are painted as unstable, voices that shouldn't be taken seriously in determining adoption policy! Again, this goes back to how powerful the adoption industry, fueled by huge profits, has become in the U.S. and how easy it has been for them to silence their critics." Makes me so frustrated every time I think about it! But also compels me to continue speaking up. I hope that one day America will listen to adult adoptees with similar consideration and respect as Korea is learning to do. 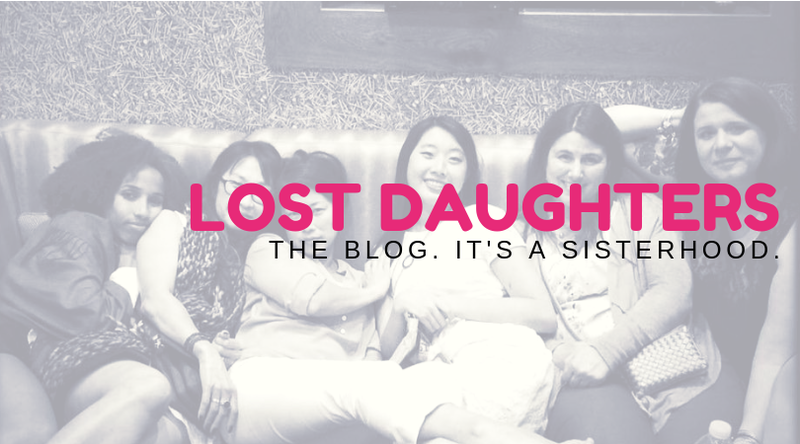 But just as Trenka and other Korean adoptees have had to fight so tirelessly to make their voices heard, we must continue to do so—as Julie expressed, "This is a exactly what we are doing as a multicultural group of adult adopted women here at Lost Daughters."